and the hotel booking engine. WHAT IS INFOTECH HOTELBOX ? INFOTECH HOTELBOX Online hotel reservation solution is the newest addition to 11-Infotech System’s portfolio of innovations for the travel industry. With the Know-How we have gathered through many years of experiences and considering all the input from our existing customers we have created a product that will help you to operate your business more efficiently and be more productive. 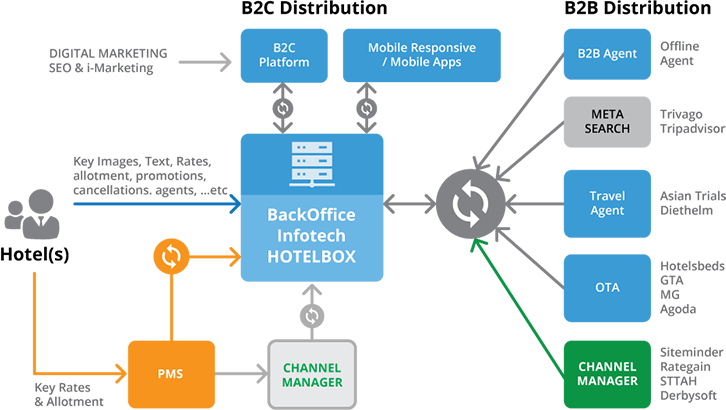 INFOTECH HOTELBOX Online hotel reservation solution is a complete Hotel Booking Engine online solution to sell your hotel’s rooms online for B2B2C and to give you full control over rooms allotments at all times. Using the Internet, your reservation operation will be available to your customers 24/7 and 365 days per year, making lost opportunities a thing of the past. A module that enables you to efficiently manage all your property details that can be set up together with your specified room allotments for your customers. Take full control of updates to room rates, inventory, stop sales, and promos for your property. Effectively yield manage and maximise profits. Makes the reservation process an extremely easy task by handling all your room bookings. 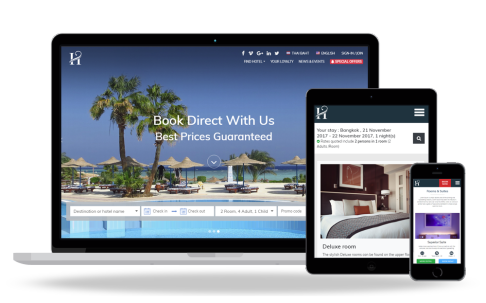 With this module our direct customers / travel agents and corporate clients can book the rooms through hotel’s website with instant confirmation and system will notify the hotel’s reservation though e-mail which automatically generated. A web base hotel booking engine build for B2C & B2B Single/Multiple Propertie(s). "Hospitality Software Trainer" (2 positions) located at Huay Kwang, Bangkok. Are you currently working within the hotel field? 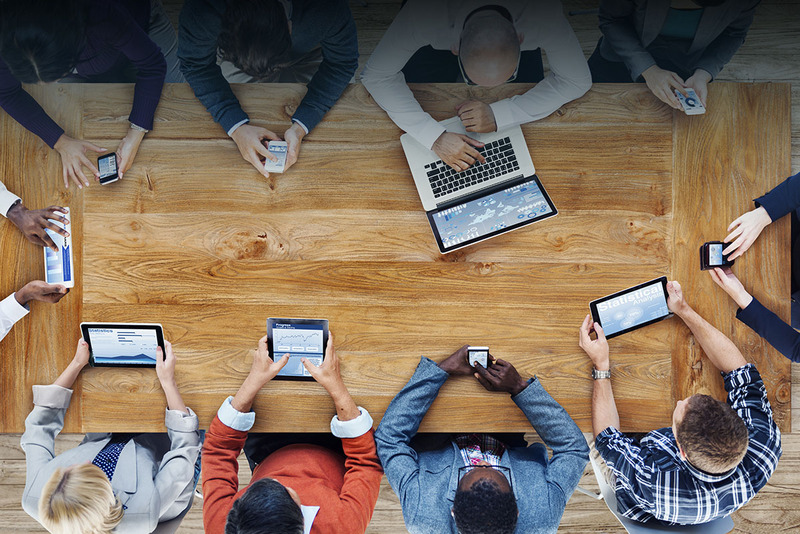 Are you tired of working shift patterns and enjoy developing and training new starters? You don't have much experience on Online Reservation System, or on Hotel Booking Engine, and ready to be trained? If so this is a great opportunity for an energetic and ambitious person to become a Hotel Software Trainer for an industry leading hospitality software company. InfotechHotelBOX, powerful hotel booking engine, under 11-Infotech System Co., Ltd, is one of the leading travel software company who develops various Online Travel Softwares and Internet Applications for the various Industries within the market. 11-Infotech also provides Business Process Outsourcing services to customers in the Travel Industry worldwide, that specializes in XML API of hotel, transfer, sightseeing, packages and air tickets both buy and sell. "Hospitality Software Sales Executive" (3 positions) located at Huay Kwang, Bangkok. 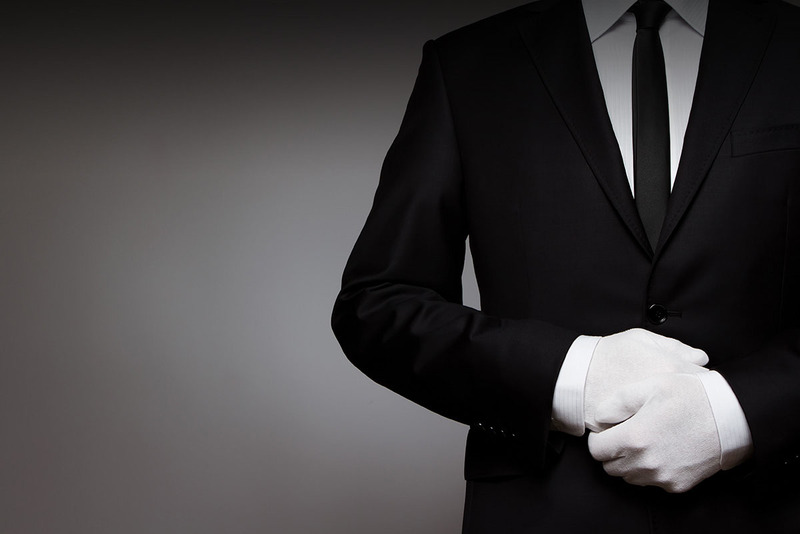 Are you currently working within the hospitality field? You don't have much experience and ready to be trained? if so this is a great opportunity for an energetic and ambitious person to become a Hospitality Software Sales Executive for an industry leading hospitality software company. InfotechHotelBOX, powerful hotel booking engine, under 11-Infotech System Co., Ltd, is one of the leading travel software company who develops various Online Travel Software’s and Internet Applications for the various Industries within the market. What does a sales executive do? Sales executives are the key point of contact between an organization and its clients: answering queries, offering advice and introducing new products. Huay Kwang Bangkok 10310 Thailand.